The Bulldogs are 11-1 with the No. 2 seed in Class A North after going 2-10 a year ago. Portland midfielder Sam Shaw says, "We've got the talent around here. We've just got to be determined, stick to it." 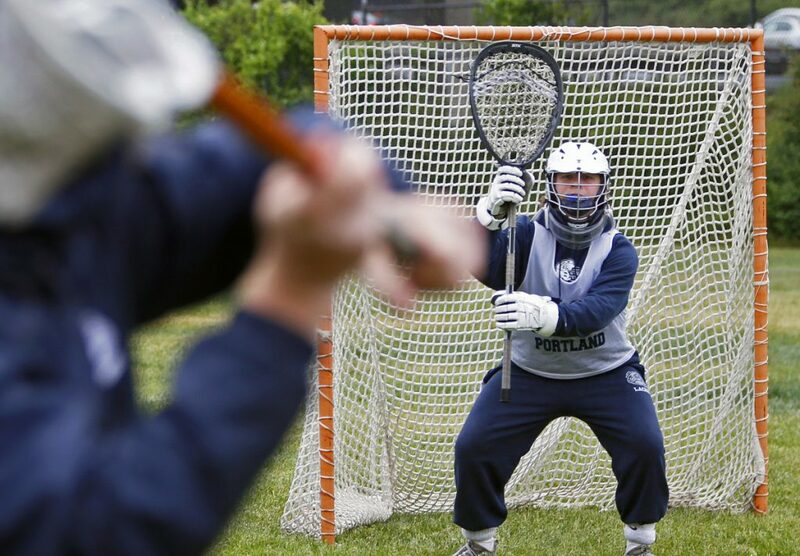 It’s been a turnaround season for the Portland High boys’ lacrosse team. After an injury-riddled 2-10 season in 2017, Portland has gone 11-1 this year, averaging 11.4 goals per game while allowing only 5.2. Now the Bulldogs – seeded second in Class A North – will find out if their regular-season success translates to playoff performance. Portland will host a regional semifinal Friday against the winner of the No. 6 Bangor (9-3) at No. 3 Windham (10-2) quarterfinal. Windham and Portland split two games this season. Bangor is a first-year varsity team. The question is, have Portland’s tests been strenuous enough? Especially when compared to Falmouth, the top seed in A North, Portland has played a significantly weaker schedule. 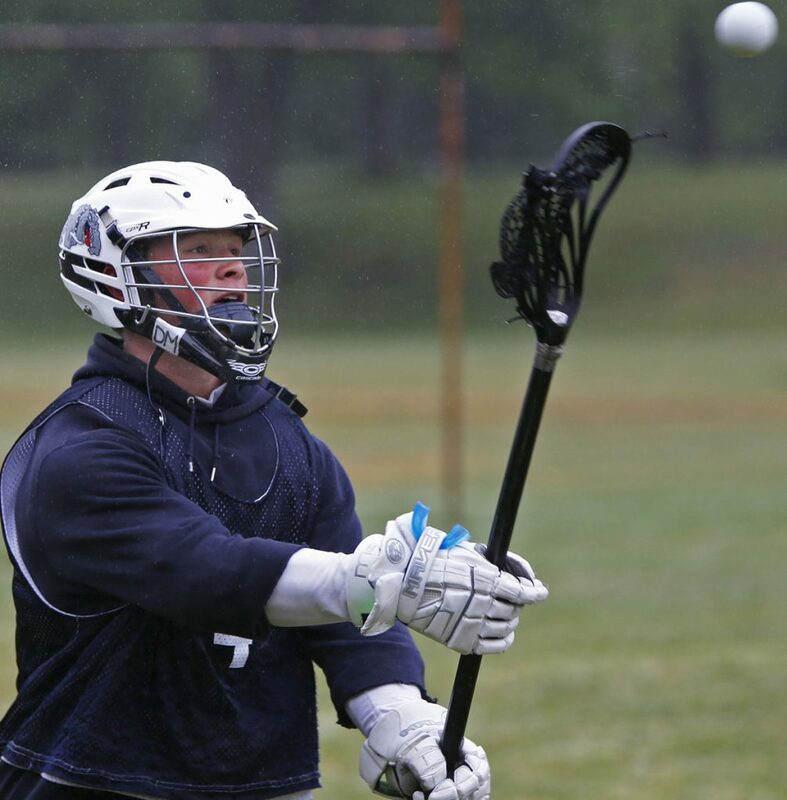 The Bulldogs played six games against teams that finished with a .500 or better record and none against a team in Maine’s exclusive club of 13 boys’ lacrosse programs (including Portland) that reached a state final in the 20 years of MPA-sanctioned tournaments. In contrast, Falmouth (11-1) was 9-0 against programs that appeared in a state final, including 2017 champions Cape Elizabeth and Brunswick. Falmouth’s loss was to unbeaten Thornton Academy, the top seed in Class A South. Falmouth Coach Dave Barton, who has worked with Portland players in the offseason LaxPros program, said it would be a mistake to discount Portland because of its schedule. Mike DiFusco, Portland’s sixth-year coach, politely refused to talk about Portland’s strength of schedule, recognizing it was something he had no control over. “Our game plan was we were going to play the games on our schedule and if all goes well, we’ll have some fun in the playoffs,” DiFusco said. What he saw from his team throughout the season was a growth in confidence and resilience. Beating Windham in the opener was a good start. Come-from behind victories on the road against unfamiliar opponents Edward Little of Auburn and Mt. Ararat of Topsham provided further boosts. “Every time we won our confidence grew and they started picking their heads up higher, and after a rough season like last year that was important,” DiFusco said. Portland won its first nine games before losing a rematch at Windham, 8-7. The seventh win was a tone-changer. The Bulldogs fell behind York 3-0, then rattled off 11 straight goals to win, 11-4. Portland’s strength is its defense, built out from Hoekstra. It was not a coincidence that Portland’s 10-game losing streak to end the 2017 season came after Hoekstra broke his collarbone. Herboldsheimer is joined on the starting defense by sophomore Ben Thompson and junior Nicolas Leavitt. Freshman long-stick midfielder Max Cheever is an aggressive turnover creator. Offensively, Portland has been led in scoring by crafty senior attack Reilly O’Brien with 48 goals. Kevin Moore has used a strong left-handed shot to score three or more goals in a game five times. Shaw, freshman Sam Gerber and sophomore midfielder Mikias Silva have provided additional offense.